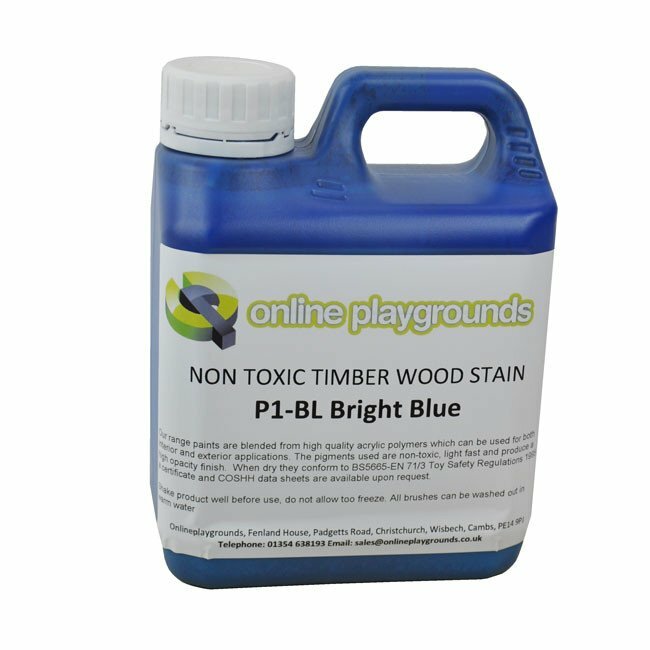 A range of non toxic wood stains suitable for timber playground equipment supplied in easy to use 1L cans. Our bright colour range paints are blended from high quality acrylic polymers which can be used for both interior and exterior applications. The pigments used are non-toxic, light fast and produce a high opacity finish which make them excellent for staining timber playground equipment. On non porous surfaces the sheen and colour can be enhanced by using a primer coat or sealer. All our playground paint products, when dry conform to BS5665-EN 71/3 Toy Safety Regulations 1995. You're reviewing: Bright Coloured Non Toxic Water Based Stain Suitable For Staining Wooden Children's Playground Structures.